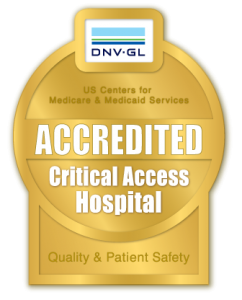 Our professionally trained and credentialed staff technologists and radiologists give every patient the extra time and energy it takes to provide personalized care on an individual basis. 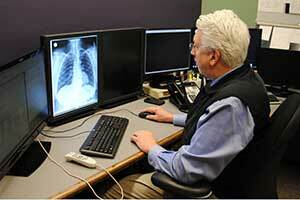 Our Radiologist provides on-site interpretations two days per week. This allows our patients to have face-to-face conversations with the doctor reading their exams and gives them the opportunity to ask questions as needed. We pride ourselves on excellent patient care and high image quality. All of our imaging is digital and we are able to send images electronically to any outside facility. We can also create CDs for patients to hand carry their exams wherever needed. In contrast we can also accept outside imaging from other facilities to make sure we are providing a thorough interpretation and comparing patient’s previous scans with ours. We have a comprehensive list of modalities including: General X-ray, Fluoroscopy, CT (Computed Tomography), Ultrasound, Mammography, Bone Density (DEXA), Mobile MRI, and Mobile Nuclear Medicine. We provide 24/7 availability for interpretations remotely to ensure seamless patient care. 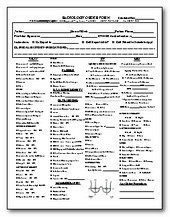 Flexible scheduling for often same-day, next-day, and evening appointments. 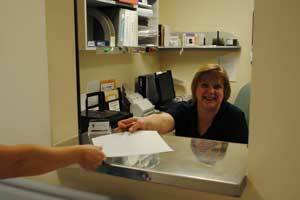 Local imaging can save you time and travel expenses; we can take care of you right here in Forks! Click on the buttons below to view more information about each service.